Lisa and I were part of this show for the first time last year, and what a blast we had!! 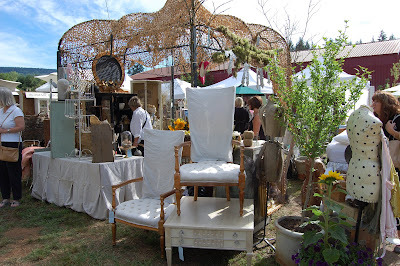 The caliber of the vendors there is absolutely incredible, you truly find the creme de la creme!!! 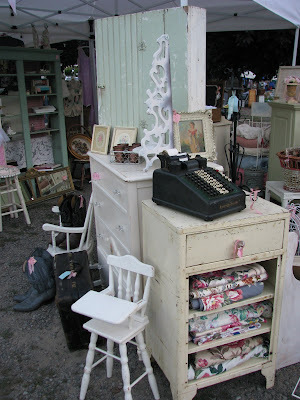 We are so thrilled to be getting back this year and this time I am going for a double booth.... That means double the treasures!! Lisa and I started doing this show 4 years ago, it is three full days of intense selling, and we always have great fun, despite the heat! This year I will be doing it on my own, but Lisa will be there to help me! Everyone knows the BH Boys put on some mean sales...!!! 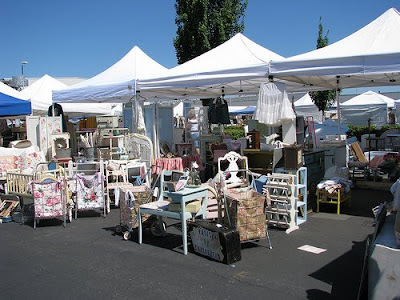 This will be their second annual flea market and we are thrilled and honored to be a part of it for the first time!! We are expecting great crowds, lots of fun and yummy food!! 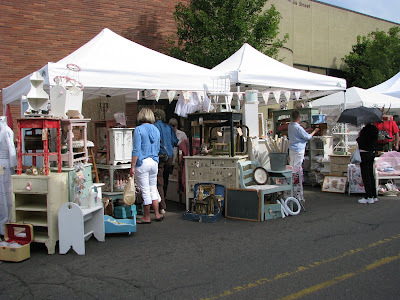 Oregon City closes it's Main Street on this Sunday for a wonderful street sale...!!! It's close to home and a super fun event to go to! Lisa and I had been attending this wonderful show for the last few years and always loved it, so last year we decided to sell, and had the best time!!! People start shopping before dawn, armed with flashlights!!!! If you have the chance to visit any of these shows, make sure to stop by and say hi, we would love to meet you...!! Otherwise, you will be able to tag along with me through my blog!!! I will be back soon with some cool makeovers...!!! I so wish I could come out to your shows, it all looks so good. 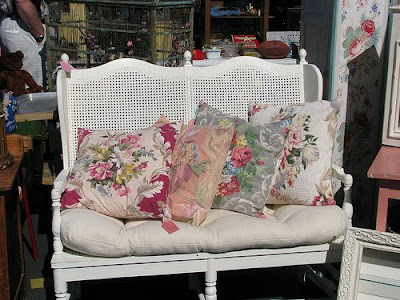 I'll take that mannequin and white bench, too pretty!! 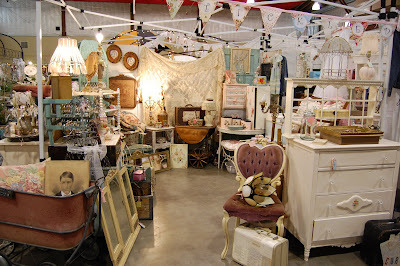 Thanks for the stroll down the awesome booths that I will never have the pleasure of browsing in person....Love all the stuff...Hugzz..TIina..
see that lil white gazebo? (under the "L" in the first picture...click to make larger)...its mine...all mine! I bought it last year and treasure it so much!!! 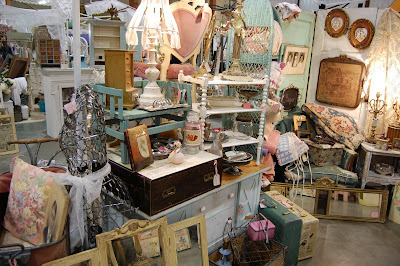 Hope I can get a chance to leave my booth( at Farm Chicks) for a few minutes so I can SHOP!!! See ya soon!! I have no idea how you manage to do all this???? The July Expo is my favorite show, but it's always at the time when I'm on vacation in Norway. But this year I'm here and will make sure to get my hands on some of the goodies. Rarely do I make it inside the halls! superwoman is right! it's alot of work!! tell the BH boys that I said HI! I'm just over in Bend...maybe I can come to OC or maybe Coburg. Would love to meet you!! Wow, all those shoes look so fabulous! Unfortunately, I will only be able to tag along through your blog, Isabel. Awsome pictures! I wish I was on your side of the world! Girl, you are going to be so busy how on earth are you going to be able to blog and keep us happy? We are a demanding bunch, you know. It all looks like a lot of work but a whole heap of fun! I love the white bench and the white slip covered chairs. Can't wait to see all your projects and makeovers. Have a lot of fun and make bunches of money. Wow you girls will be busy. Thanks for sharing your schedule. I will hope to meet you at one or two of these shows this summer. Oh my goodness!! Those shows look gorgeous!! Wow! Isabel you are going to be busy! It sounds like a lot of fun though! Wishing you BIG BIG sales! 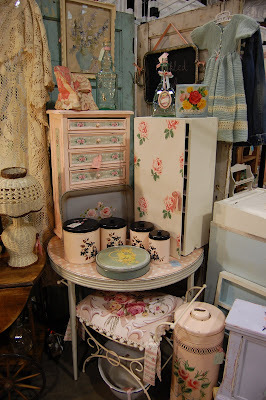 Thanks for stopping in at Loveleigh Treasures today. Your pictures are like eye candy, I could just devour everything. There is so much to look at. I just might get eye strain! 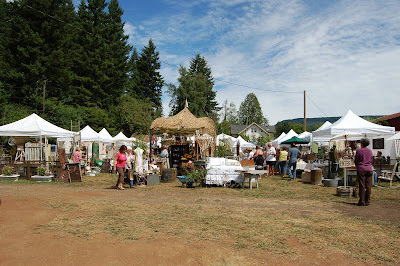 My Mom, Aunt and I are hoping to come to the Barn House sale in July. If we make it, we'll be sure to come and find your booth and say hello! Have yourself a great day and enjoy this beautiful sunny weather! Thanks for coming by, and fro the show schedule. I'm hoping to get to at least one of them, and maybe two. I certainly will try to make one of the shows. I would love to meet you. Can you believe "the season" is finally here...and it seems with a vengenance?! Buckle you seat belts, it's going to be a crazy ride!! 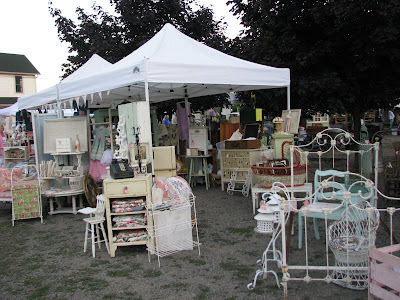 So glad you will be at our Flea!!! I am so excited to see that you will be at The Farm Chicks! The Mermaids live in the Spokane area and will be there too. A bunch of us fellow bloggers and some vendors have created badges to wear to make us recognizable to each other. The Mermaids will come visit you and introduce ourselves. Can't wait, you have beautiful things and a beautiful blog too!